Yarra Capital Management - Retail REIT deal a concern for debt investors? Phil Strano, Portfolio Manager at Yarra Capital Management, looks at two recent REIT deals and explains why he expects to see a broader repricing of single ‘A’ and triple ‘B’ REIT credit. 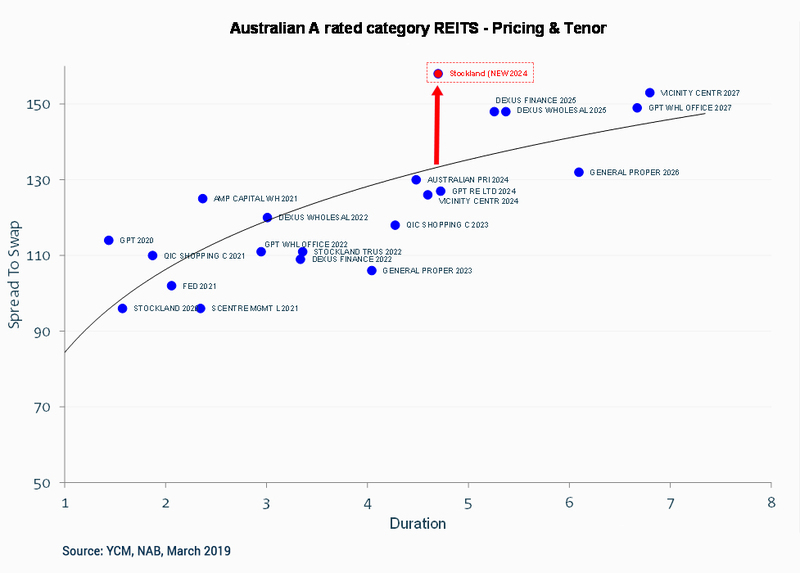 Following on from our recent Insights piece “Anyone for a REITs ‘Bargain’?” the pricing of two recent corporate bond deals further highlights the challenges facing Australia’s Retail REITs, with a repricing of REIT curves seemingly on the horizon. Stockland Property Group (SGP) recently issued a $200mn 5-year corporate bond in the Australian MTN (AMTN) market. Rated at A- (S&P) / A3 (Moody’s), the deal priced at ASW+158bps which was well wide of secondary pricing on other A rated REITs (refer chart below). By contrast, the Moody’s Baa2 rated (equivalent to a BBB from S&P) toll-road operator ConnectEast Group issued a 7-year AMTN in the same week at a tighter level (ASW+150bps) despite the issue’s longer tenor and supposedly weaker credit quality. Demand for the 7-year deal was roughly 3-times that of SGP, with its bonds subsequently trading ~10bps tighter at ASW+140bps. 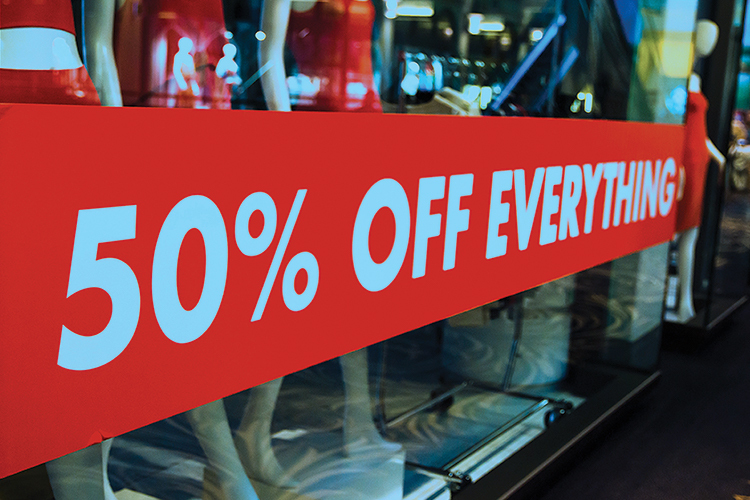 The challenges facing SGP’s retail and residential businesses are now also being more accurately reflected in its credit margins, with the market’s pricing for SGP debt now more in line with a triple ‘B’ credit curve than single ‘A’. As the differences in fundamentals between REIT issuers becomes increasingly understood, it follows that the spread discount between office and logistics deals and their riskier retail and residential peers will widen. 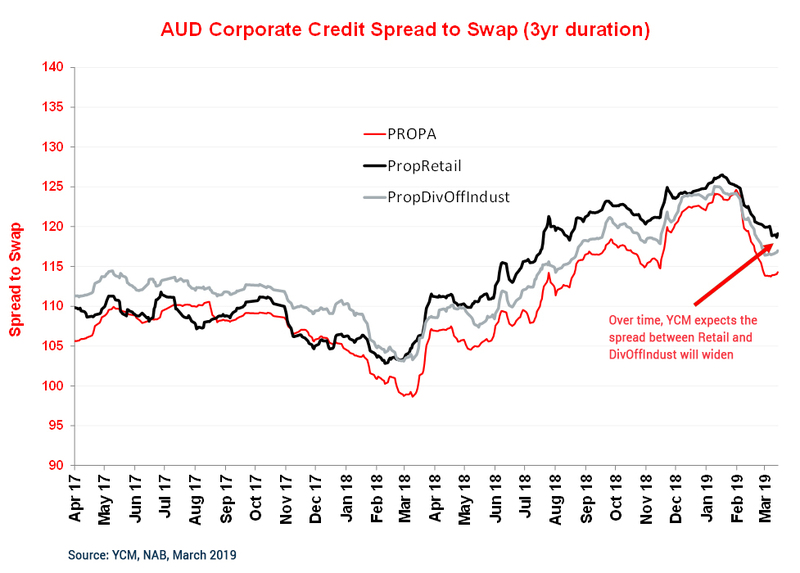 While some of this is already reflected in credit spreads (refer Chart 2), further widening looks inevitable as the cycle continues to mature. Investors would be wise to keep a sharp eye on company credit policies, with changes often a precursor for downgrades over the near to medium term. During the latest reporting season, for example, GPT replaced its long-standing commitment to maintaining an A flat credit rating with an A+/A- range. This change has reduced our conviction in GPT’s credit outlook. Finally, it is worth noting that calls for Australia to move towards a “living wage” environment would be hugely negative for Retail REITs, since their tenants (i.e. cafes and retail traders) are the lowest full-time salary payers and would be dramatically impacted by such a move. Higher labour costs (already the highest non-COGS expense) would further pressure tenant profitability and their ability to meet rental obligations. In our view, SGP’s newly issued bonds are likely to result in a broader repricing of single ‘A’ and triple ‘B’ REIT credit. By extension, we expect some of this credit repricing to precede credit ratings downgrades for REITs with significant retail exposure.